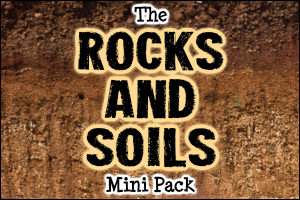 Dig into the age of the dinosaurs with our teaching, activity and display pack! The Dinosaurs Pack includes a child-friendly eBook to read together, a range of vocabulary resources, story starters, comprehension materials, Maths challenges, activity resources, bunting, display banners and more! One 58 Page Dinosaurs eBook – Teach your children about dinosaurs with our printable PDF eBook. Includes information about the evolution of dinosaurs, the types of dinosaurs that lived in different periods of time, their extinction, fossils and more. One Dinosaurs Glossary – An enormous list of dinosaur vocabulary with matching definitions. One Dinosaurs Quiz – Test your children’s knowledge of the information in our Dinosaurs Book with this quiz. Twenty-Four Dinosaur Posters – Sets of posters that show pictures of (and information about) twenty-four different dinosaurs. 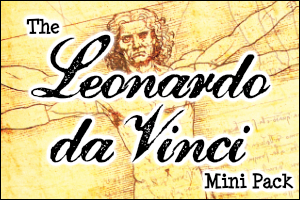 There are two different versions (with and without the text) and each set is also available in a smaller card format. One Biography of Mary Anning – Learn about the life of fossil collector and palaeontologist Mary Anning. 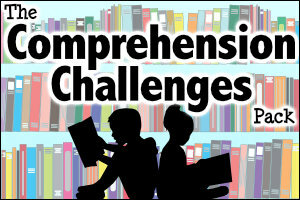 Available at three levels of reading difficulty, with sets of matching comprehension questions. Fourteen Dinosaurs Writing Prompts – A set of images that your children can use as the starting point for different types of writing about dinosaurs! Three ‘How Many Dinosaurs?’ Resources – A simple set of counting activities for younger children, based on a dinosaur theme! Four Sets of ‘Dino Spotting’ Resources – Challenge your students to find and count different types of dinosaurs on these activity sheets. Four Sets of Dinosaur Data – A collection of dinosaur-themed statistics challenges. Can your children interpret the graphs and tables to answer the questions? Thirty-Two Maths Challenge Cards – A set of Maths challenges based on dinosaurs! Twenty Dinosaurs Colouring Pages – Colouring pages that show different dinosaurs, at a variety of complexity levels. One Dinosaurs Crossword – Test your children’s knowledge and understanding of dinosaur-related vocabulary with our handy crossword! Two Dinosaurs Wordsearches – Wordsearches at different levels of difficulty, which challenge your children to find the names of dinosaurs. Fifteen Dinosaurs Puzzles – Dinosaur themed puzzles, including mazes, spot the differences, jigsaws, colour by numbers, dot-to-dots and more. Two Dinosaurs Banners – Eye-catching banners to add to the display boards in your classroom. One Set of Dinosaurs Bunting – Decorate your classroom with our dinosaur-themed bunting! 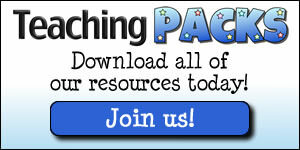 Watch the video below to view samples of resources from the Dinosaurs Pack. Just what I was looking for! Lots of beautifully made, colourful dinosaur resources that will be a great help in planning my topic for my Year 1 class. Thank you so much, so much time has been saved! Oh just wow! We have rewritten the curriculum plan for the next academic year in our very small international school of about 30 + children. We shall work this into our summer term 2019 for our EFL children aged 3 - 13! Can't wait really but we shall enjoy the long term planning and finding out all the facts. We like using your books because our EFL children can have their own to annotate in their own language to learn the vocabulary. Thank you once again for such high class resources that excite us - the children just WILL be enthused too! Its hard to find something that holds my son's attention but this one he doesn't want to put down. He's working through everything page by page while quoting numerous dinosaur facts to us all. A real gift to any teacher doing the dinosaurs topic! Really high-quality materials, beautifully made. I think the data handling resources and the ebook in particular will be very useful. Well done, Mark and Helen!